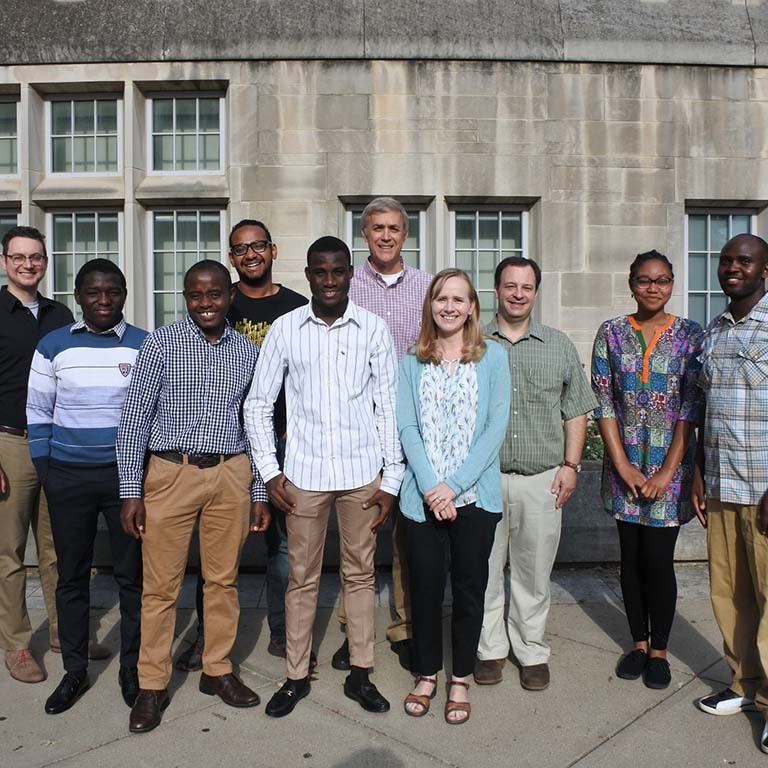 IU Bloomington recently hosted several students from Nigeria under a new summer research program in the College of Arts and Science's Department of Biology. Ishola Peter Gbenga and Ahmed Oloruntoba of Lagos State University spent mid-July to mid-August in the labs of IU professor Justin Kumar and associate professor Soni Lacefield under the program, which provides students from Africa the chance to conduct research at IU and improve the competitiveness of their applications to graduate school. The program was established this year based upon a proposal from several African graduate students at IU, including Maureen Onyeziri, a member of the lab of IU professor Clay Fuqua, and Gabriel Muhire Gihana, a member of Lacefield's lab and the founder of Afrisnet, a separate project that provides information and assistance to African students seeking academic opportunities or internships. A graduate of Lagos State University, Onyeziri made initial contact with the institution, whose faculty selected Gbenga and Oloruntoba to participate in the program's inaugural year as top-performing students in their biochemistry program. Joey Wooley, a recruitment and outreach coordinator at the University Graduate School, assisted with logistics for hosting the students at IU. Lacefield serves as director of the program. The program was established with support from David Daleke, associate dean of the University Graduate School and IU vice provost for graduate education and health sciences, and Greg Demas, professor and chair of the IU Department of Biology. The program aims to host at least two more students next year.